When it comes to marketing to your audience, email has the highest conversion rate (66%), when compared to social, direct mail and more (DMA). You can offer the lowest price or best product on the market, but if you don’t have a way to reach your prospects and customers on a one-to-one basis through email, you’ll have trouble converting prospective buyers into customers. Even if you do have an email list of thousands of contacts, your list can go stale over time. People change jobs, lose interest, abandon email addresses and so on. You have to make a conscious effort to continually build your subscriber list year over year (and ensure that those contacts are qualified and interested in what you have to offer). 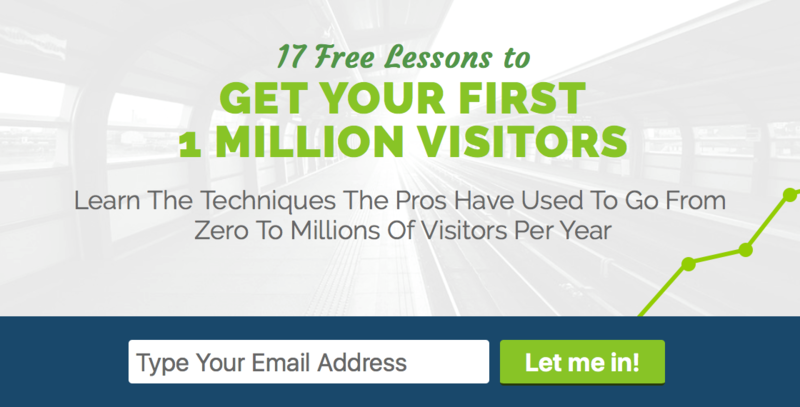 Email drip courses are a powerful way to generate and nurture leads. You set up a landing page where people can signup and then you build out a campaign of emails that will be sent out periodically. Each email contains one lesson. For instance, if you run a mobile app development agency, you can create a 10-lesson course on finding and testing the right idea for a new mobile app. This would contain topics like idea generation, market research, wireframing, and so forth. The best thing about an email course? It’s a gift that keeps on giving – and converting. It’s more than a way to capture leads – it’s a vehicle for educating your audience, driving them down-funnel toward conversion. In fact, one of the best performing resources on the Hatchbuck website is our Lead Gen 101 course. Nearly 20% of leads that sign up for our course reach out to us for a demo of our software – a solid conversion rate for a piece of content that runs on its own. A giveaway can be a super effective way to generate new subscribers. For instance, a daily deals website for digital products and services, Appsumo, gained over 200,000 subscribers by giving away free Dropbox accounts. Surprisingly, few companies try this tactic – or end up executing it poorly. Giveaway campaigns commonly fail because the offer doesn’t fit the audience. In other words, offering something generic, like the latest iPhone, isn’t enough. Everyone wants a new iPhone. Instead, offer something uniquely specific to what your target buyer would want. This is where Appsumo nailed their giveaway. Their legendary campaign offered entrants lifetime-unlimited Dropbox data or a lifetime-free Evernote subscription. These tools are extremely appealing to – Appsumo’s target audience – entrepreneurs. Once you’ve settled on a sweepstakes, you need to be sure your landing page is optimized for entries (and for sharing). With a few simple additions (like offering extra entries for a share on social), you can motivate users to promote the giveaway and expand your potential customer base. There’s a term for this marketing strategy. It’s called “engineering as marketing,” and it was first coined by Gabriel Weiberg in his book Traffic. The concept is simple. Create tools and products for your customers and offer them for free in return for a sign-up. This type of lead-in tool can anything from an e-book to a browser extension, but the most important aspect of these tools is capturing the user information at sign-up to continue building your contact list. A successful example of “engineering as marketing” tools is Pablo – a free tool offered by social media scheduling app, Buffer. 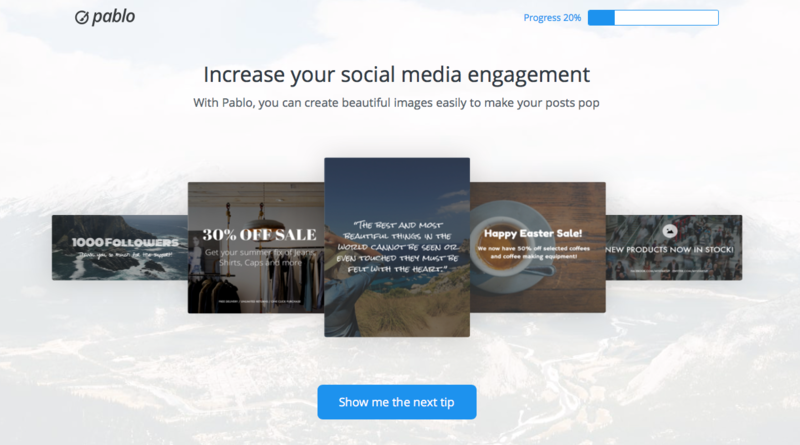 Pablo allows users to edit and add text to any image to create customized stock photography. The product itself is great, but the real genius behind it is that it’s a rational stepping stone to Buffer. If you’re creating images for social media, you’re posting them on social media. It’s an effective lead-in to the next step – purchasing a social media publishing platform. Another great example is the website analyzer offered by marketing consultant Neil Patel on his website Quicksprout.com. Users submit their website URL and email address and get a free analysis of its weak points on their site. By offering this free website analysis teaser, Quicksprout is quickly able to demonstrate the value in their product while simultaneously adding a new subscriber to their email list. 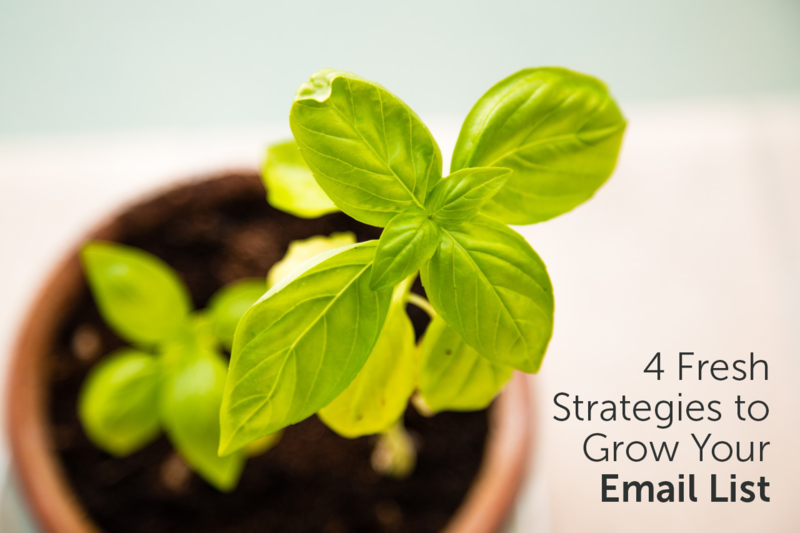 There are several ways to use social media to grow your email list. While followers are great, if they’re not engaging with your content and getting pushed further down your inbound marketing funnel, they’re not worth much to your business. Social media can be a great first interaction between potential customers and your brand. You can capture email newsletter signups through a Twitter card. You can use your Facebook page to promote an offer on a landing page that requires an email submission. You can also collect emails directly on your Facebook page. MarketingProfs allows visitors to sign up for the email newsletter through their Facebook page rather than driving them to their website to sign up elsewhere. In the same way, you can use Instagram, Twitter or Pinterest to run creative campaigns that can drive followers to landing pages that offer email signup opportunities. An email list can be a hugely valuable asset for your small business. But like the leads you’re trying to sell your product to, your email list needs to be nurtured to remain relevant and beneficial. Make sure you’re optimizing these channels so you don’t miss out on capturing prospect emails.